On the eve of the annual Moonshiner Days festival, first-grade teacher Jennifer Wagner is found with a meat thermometer sticking out of her neck. A year later, police in her small Kentucky town are no closer to solving her murder. As the town prepares to welcome thousands of guests to another Moonshiner Days, reporter and amateur sleuth Maggie Morgan begins to wonder if Jennifer’s killer has ties to the festival. With the sounds of backfiring jalopies and bluegrass music filling the air, Maggie pokes around Jennifer’s life, exposing deep, dark secrets. Just as she inches closer to solving the challenging case, another crime is committed, a murder suspect ends up in jail, and Maggie is forced to deal with a personal crisis. All Gentry Harris wants for Christmas is to find his grandson, Jay, who disappeared months earlier on his way to work. Learning of Gentry’s plight, reporter and amateur sleuth Maggie Morgan volunteers to look for Jay. Her investigation takes her up eastern Kentucky hollows and leads to a butcher shop, a funeral home, and an emergency room as well as to encounters with a pair of dim-witted brothers. As Maggie uncovers Jay’s secrets and lies, she wonders if harm came to the young man or if he drove his pickup truck into a new life. When Hazel Baker is found floating in Catfish Corner, neighbors in her eastern Kentucky community wonder how the retired nurse ending up drowning in the pay lake. Unwilling to accept Hazel’s death as an accident, her sister enlists reporter and crime buff Maggie Morgan to prove Hazel was murdered. As Maggie tries to focus on the case, she’s distracted by her well-meaning boyfriend, her ex-fiancé the police detective, and a crime that hits close to home. Mac Honaker begins his morning with an Iced Honey Bun, a cup of coffee, and a fatal shot to the chest. 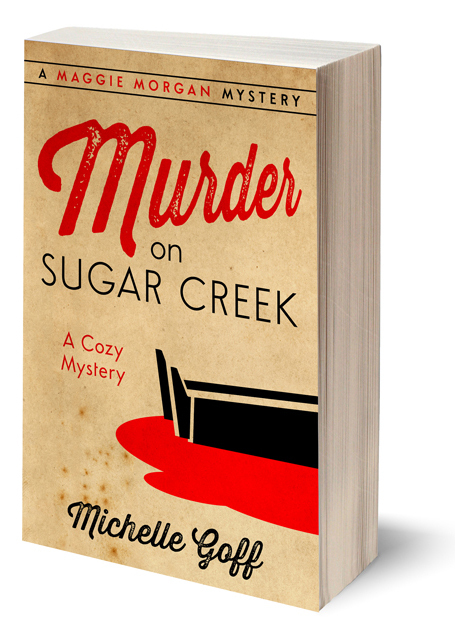 Mac’s murder stuns Sugar Creek, a small community nestled in the hills and hollows of eastern Kentucky. It also fuels Sugar Creek resident Maggie Morgan’s enthusiasm for true crime, but her interest turns personal when her brother’s childhood friend is arrested for the murder. Maggie dedicates herself to proving his innocence, which puts her in contact with her ex-fiancé the police detective just as she starts a new romance. As Maggie pieces the clues together, an unflattering picture of Mac emerges and she comes to the realization that her brother’s friend might not be so innocent after all.